Frederick Benedict Roberts was born at Araluen, his mother brought the family to Newtown after his father died. He died 6 March 1938, in Gloucester House. Roberts was a member of the State ALP executive and the Federal ALP executive. 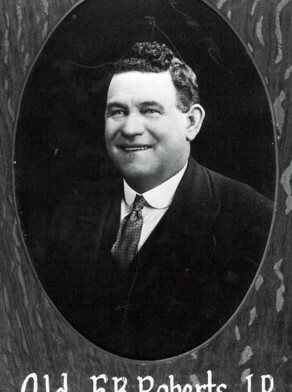 Frederick Benedict Roberts was an alderman on Newtown Council in 1926-41, representing O’Connell Ward. He was mayor in 1932.